The U.S. Forest Service knows a thing or two about black ice. After all, the agency maintains 380,000 miles of roadways, some of which experience the phenomenon every winter. What is black ice and where is it found? 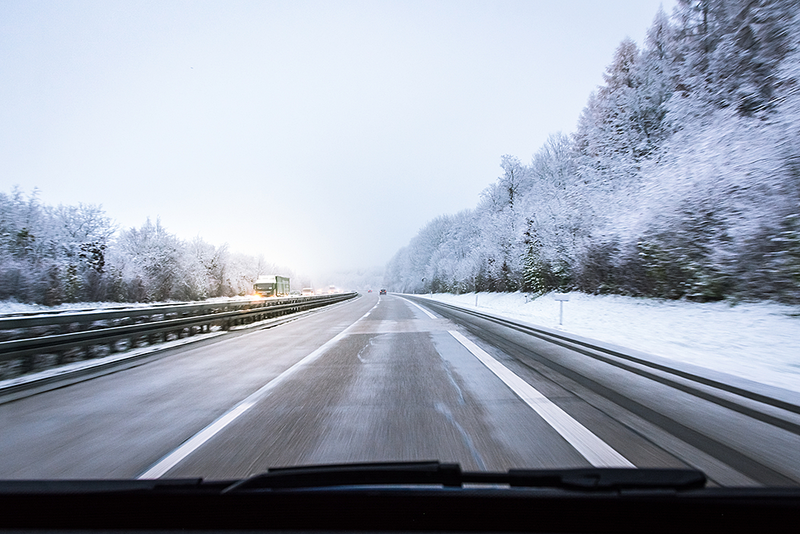 Black ice is a glaze caused by light freezing rain or of melting and refreezing of snow, water, or ice on a roadway. Though actually clear, the phenomenon is called “black ice” because it looks like the rest of the pavement on the road. The ice forms no bubbles, making it harder to visually detect. Black ice typically forms around the freezing point (32 degrees Fahrenheit, 0 degrees Celsius). It can also form in frigid weather due to the heat of tires on the road, mixed with the freezing temperature. The U.S. Forest Service offers the following tips should you encounter black ice on the roadway this winter. Stay calm and avoid overreacting. Do as little as possible to allow the vehicle to pass over the ice. Do not apply the brakes. Applying the brakes can cause you to spin out. Keep the steering wheel straight. If you feel the back end of your vehicle starting to slide, make a gentle turn of the steering wheel in the same direction. Steering against the skid can lead to a spinout. Usually black ice patches are no longer than 20 feet.